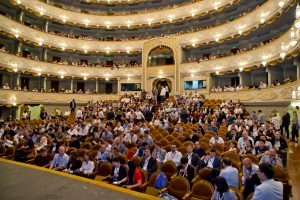 On September 21-23, the wide scaled event of the year in the Blockchain Industry was held in Tbilisi. The conference was supported by Bitmain and its partner company Bitkan. On September 21, the opening ceremony at Tbilisi Opera and Ballet State Theater, was opened by the founder and executive director of Bitmain — Jihan Wu.